Gah! 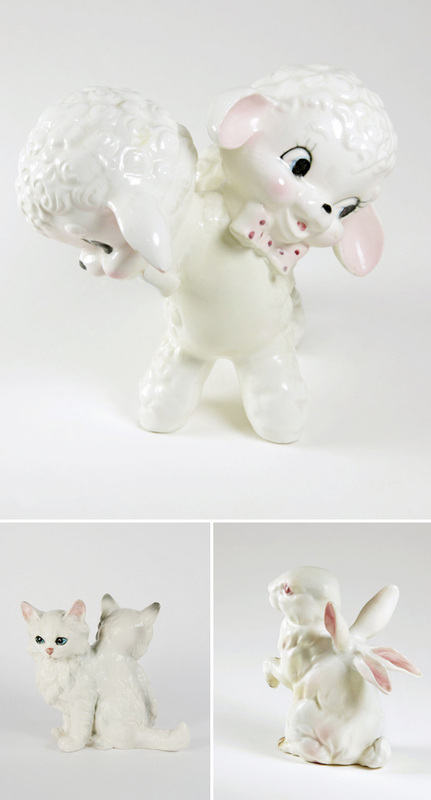 “Rabbit as Fox” and “Lamb as Bear”… I absolutely LOVE these beautiful weirdos from Debra’s series, “Disguises”. Who knows what kind of ceramics she’ll manipulate next, but you better believe that I’ll be ready ‘n waiting!